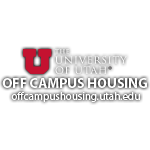 The University of Utah made history when it opened its Asia Campus in the Incheon Global Campus in September of 2014. Since then, the University has been actively working to better connect the two campuses and establish them as the same institution. 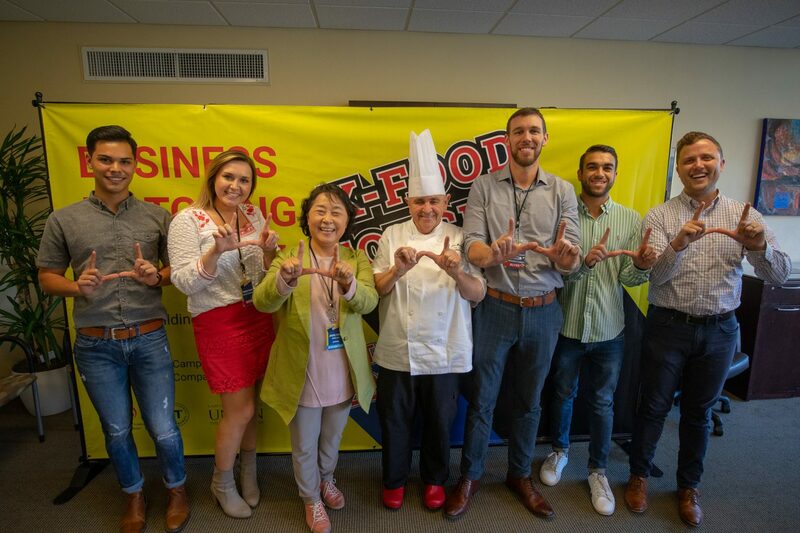 In 2017, the A. Ray Olpin University Union formed a new student-run board for the Utah Asia Campus that programs student events at the Incheon Global Campus, much like how the Union Programming Council programs student-run events here in Salt Lake City. 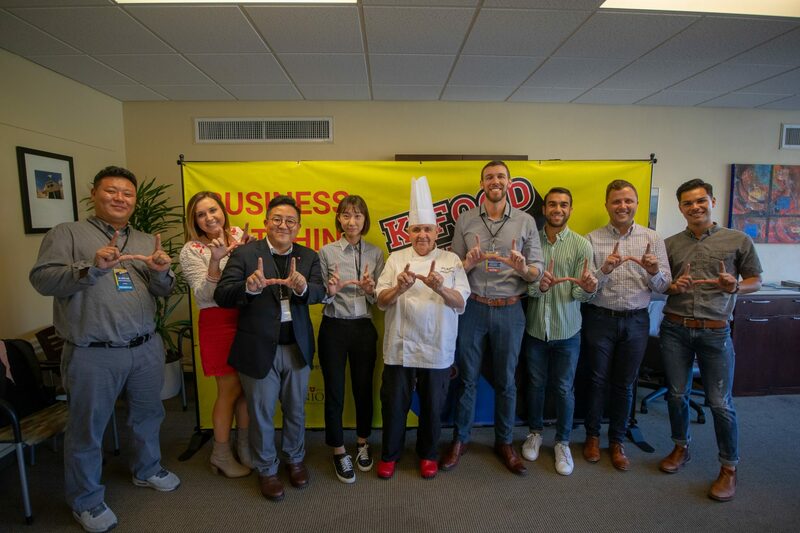 In 2018, the Union was approached with another opportunity to connect our two campuses through a partnership with Korea Agro-Fisheries & Food Trade Corporation (aT). 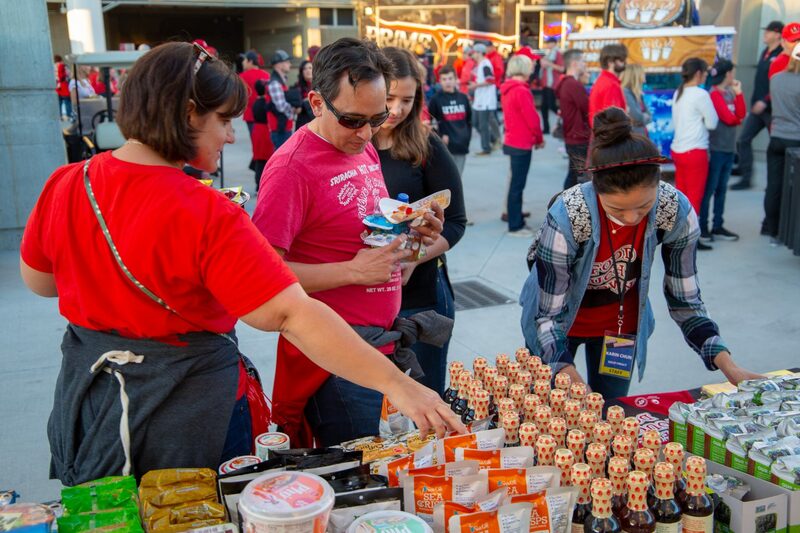 At the football game vs the USC Trojans, the Union provided aT and several Korean companies an audience with the University of Utah community at the Guardsman Tailgate lot and in Rice-Eccles Stadium. 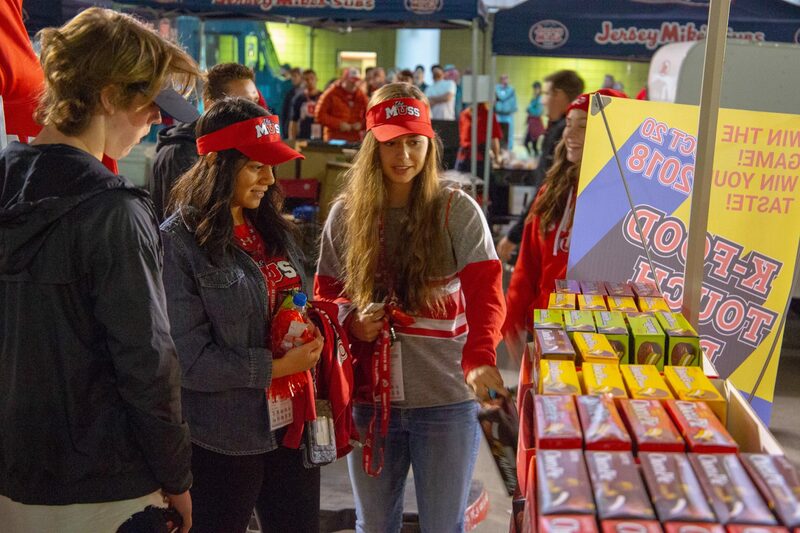 Thousands of Utah fans enjoyed Korean snacks at both locations and a sizable scholarship will be donated to the Union Scholarship Fund which awards thousands of dollars to University of Utah students every year. 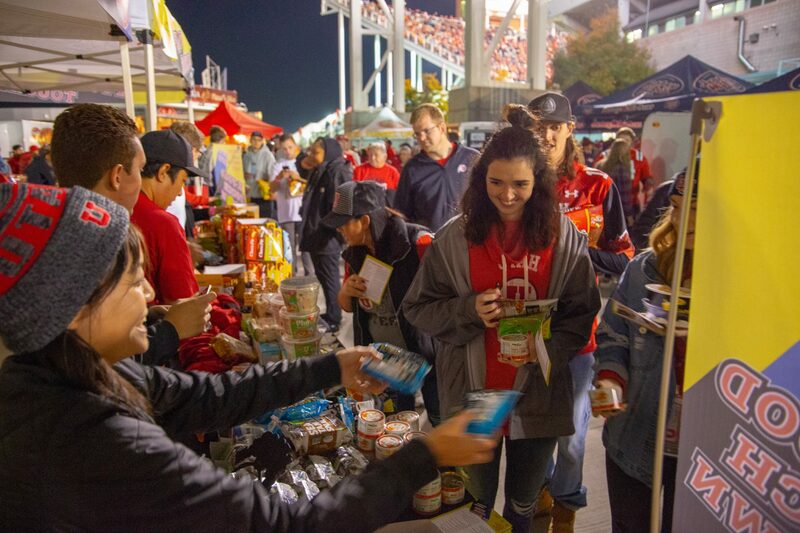 “It was a wonderful experience to be able to participate in bringing elements of the South Korean culture to our campus community. 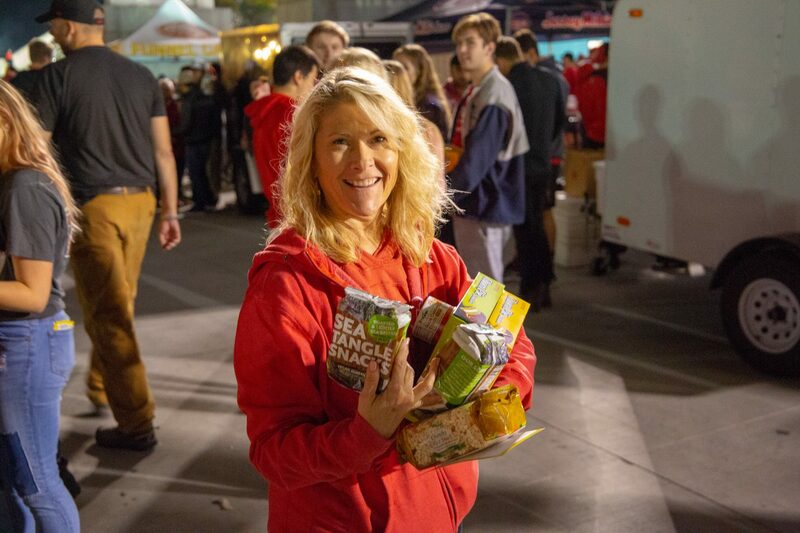 Between the business meeting with Korean companies, the tailgate leading up to the Utah/USC game, and the event that was hosted inside the stadium. I think that we were exposed to a plethora of excellent Korean offerings. 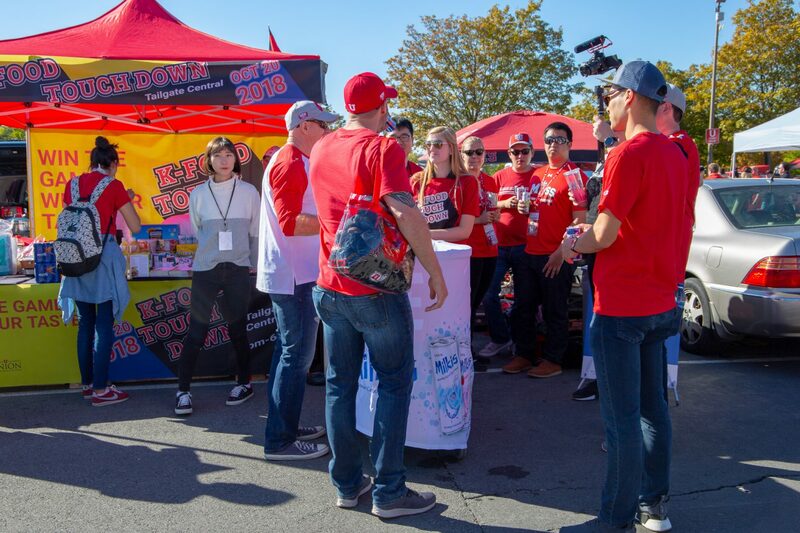 The entire weekend was a pleasure and so much fun!” – Branden Dalley, Director of Development, University of Utah. 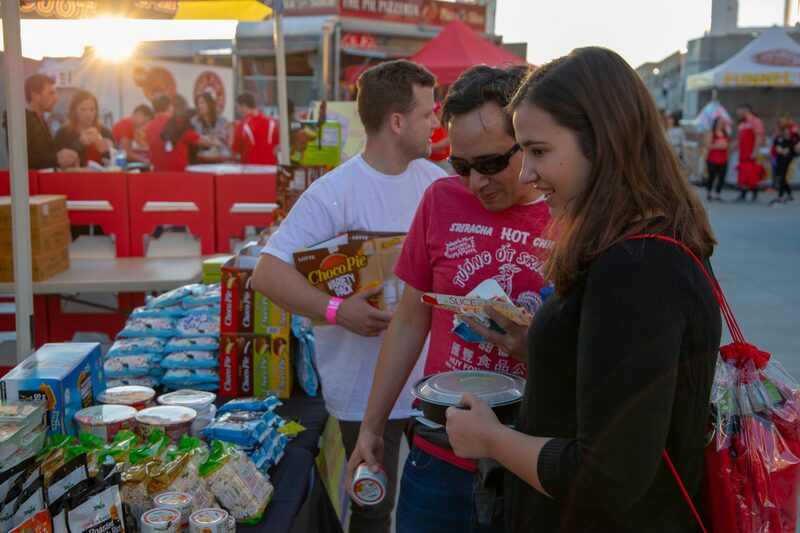 Four Korean companies were present at the K-Food Touchdown event. Korean conglomerate Lotte, a massive Korean company that owns offices, hotels, cinemas, professional baseball teams, and even an amusement park called Lotte World. 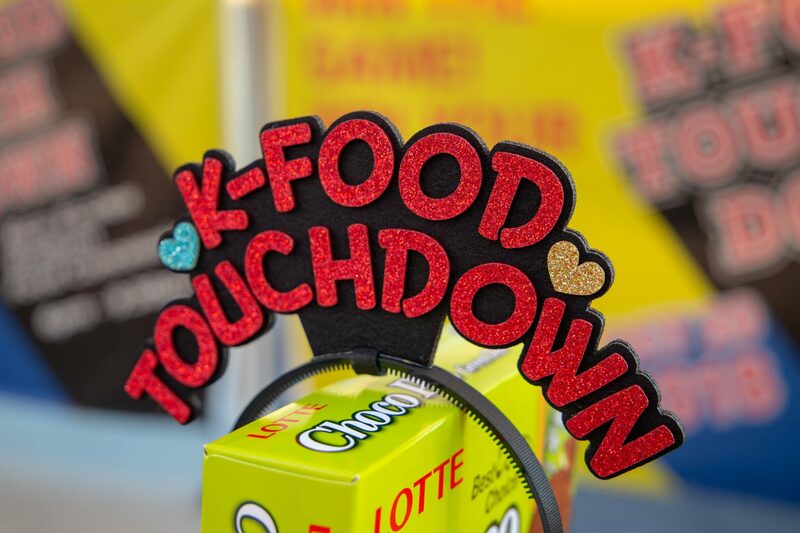 At K-Food Touchdown they presented their snack foods, which originally laid out the foundation for their company. Also present was Jayone. 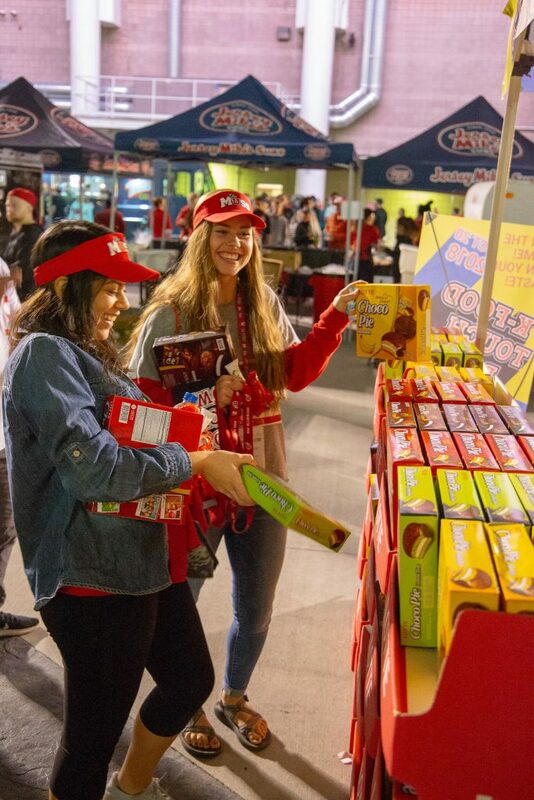 Jayone is another Korean company that deals mainly in snack foods, primarily seaweed and rice based. 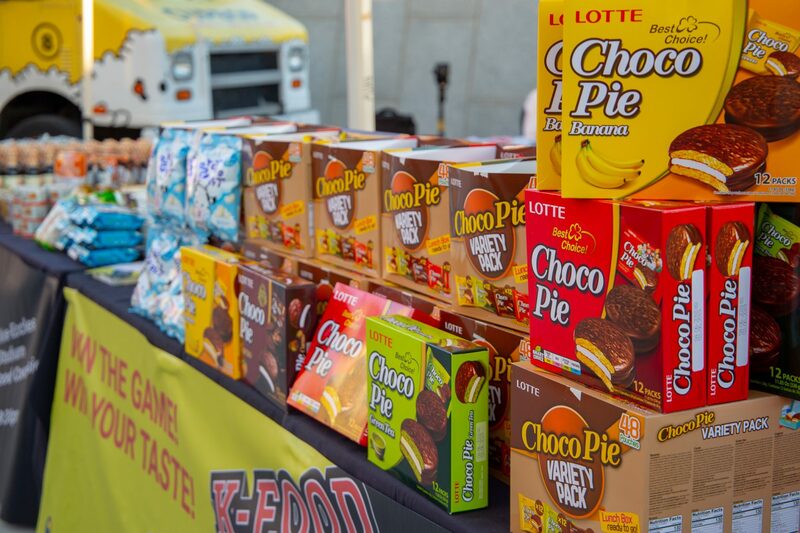 Korean tea and drink giant Damtuh was also at the event to promote their products alongside Woobo to promote their snack food and drink products to an American audience. 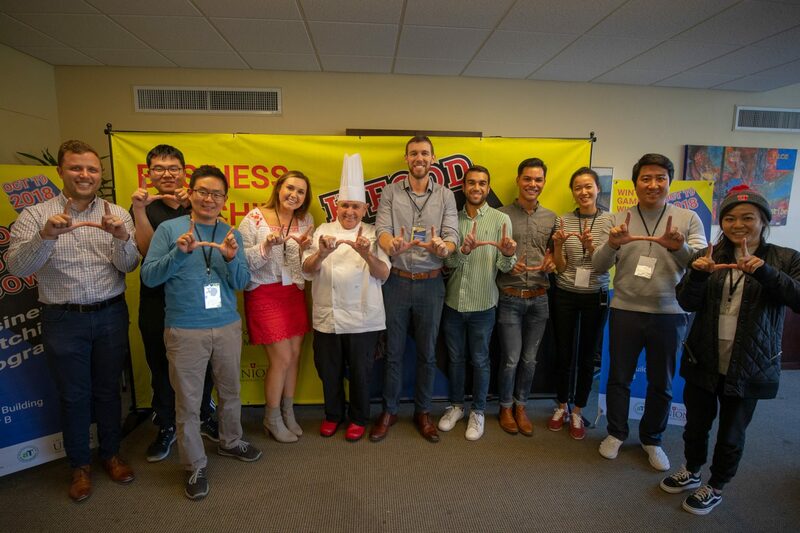 They hope to share Korean food in America and across the globe to engage people in one of the proudest aspects of Korean culture.